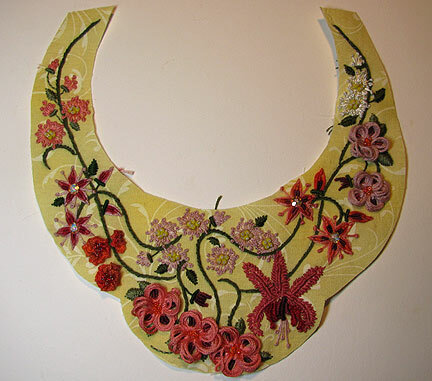 A few weeks ago, I shared on Mixed Media Artist that I had been messing around with some traditional embroidery. 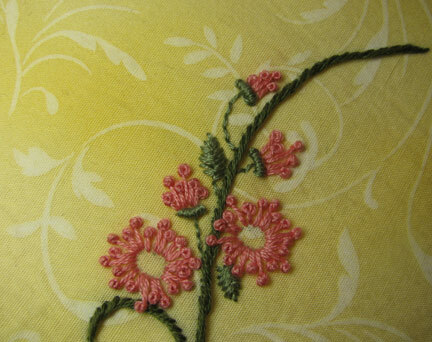 Since I was seduced by beads and bead embroidery so many years ago, I have somewhat neglected my thread embroidery skills, if I ever really had any. Part of my new year's resolutions was to try something new, so I dug out an old book I'd purchased but never used, and put my needle to work: The Art of Dimensional Embroidery by Maria A. Freitas. 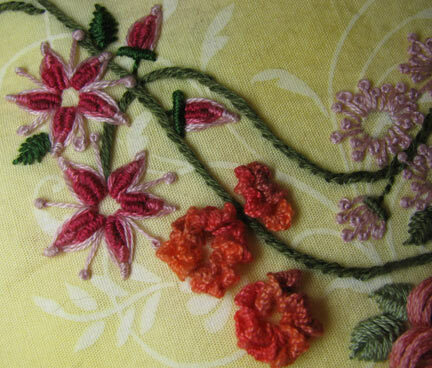 If you are proficient at thread embroidery, you'll see all kinds of imperfections and irregularities in my stitches. I just want you to know that I got better as I went along! The name for this piece was suggested by my friend Paul Bishop. Besides being a wiring wrapping guru, Paul is very clever at coming up with good names for pieces! The tutorial is loooong, so I'll share the first half today and finish it up on Wednesday. 1. 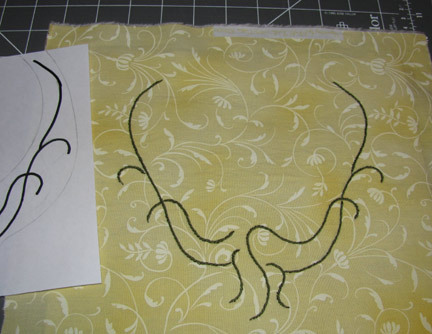 Follow my general directions for creating a pattern and transferring it to your fabric in preparation for beading. 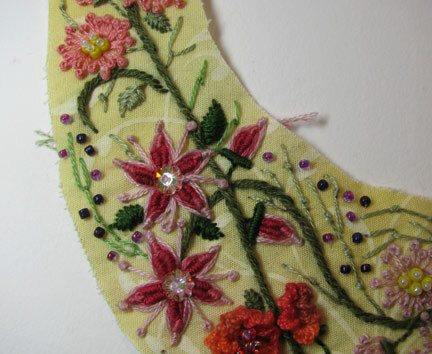 You can download a free copy of my introductory chapter on Bead Embroidery which will take you through the steps. 2. 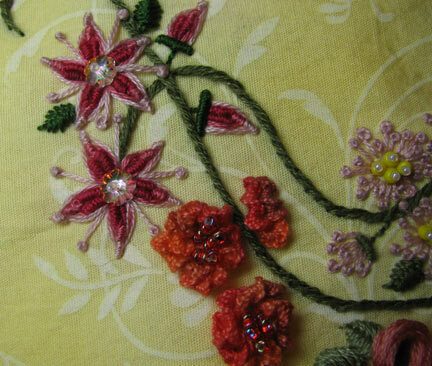 Stitch on the major stems and the flowers using embroidery floss. 3. 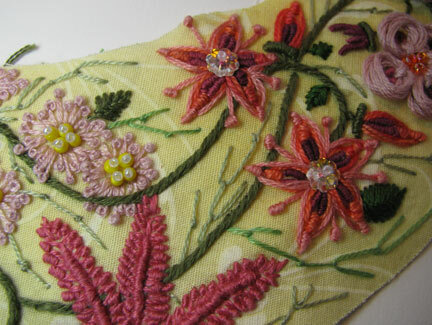 Add leaves, smaller stems, and beaded centers. 4. 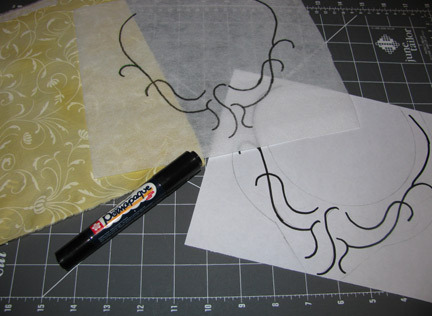 Cut out the final form of the necklace. 5. 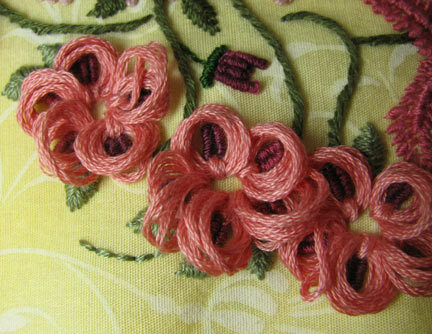 Add tiny accent stems and accent beads. Part two will be posted on this Wednesday! This is quite spectacular, you know. 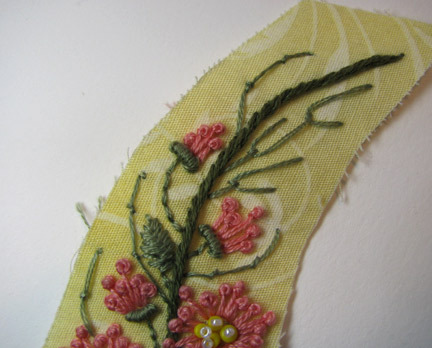 I used to do quite a bit of embroidery. 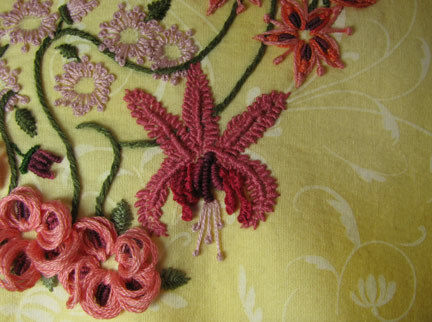 I love the added beads and I am glad you posted the close-ups because in the first photo it was hard to see the detail. Cyndi, this is just gorgeous and how generous of you to share the details. 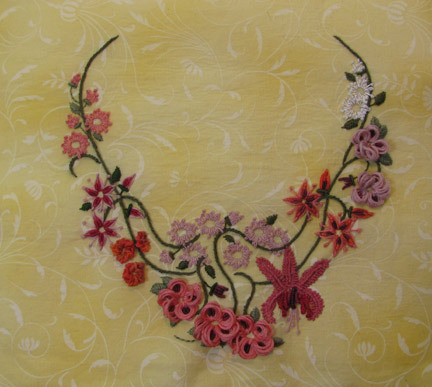 I haven't embroidered for years and I was never as good as my mother but your neckpiece is certainly an inspiration. Woah, that is insanely beautiful! What a beautiful piece for spring! Thank you for all the close-ups so we can see the marvelous detail work. 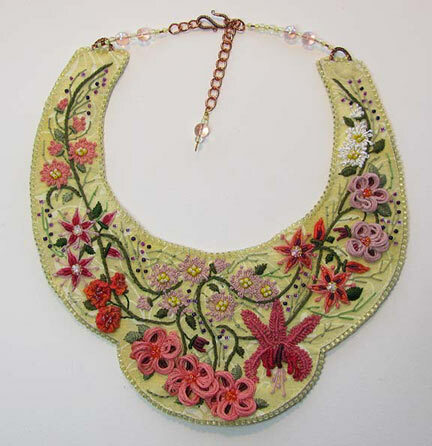 I love the dimensionality of your embroidered flowers and ornaments. Thanks for sharing! And I am incredibly impressed with your blog in general.